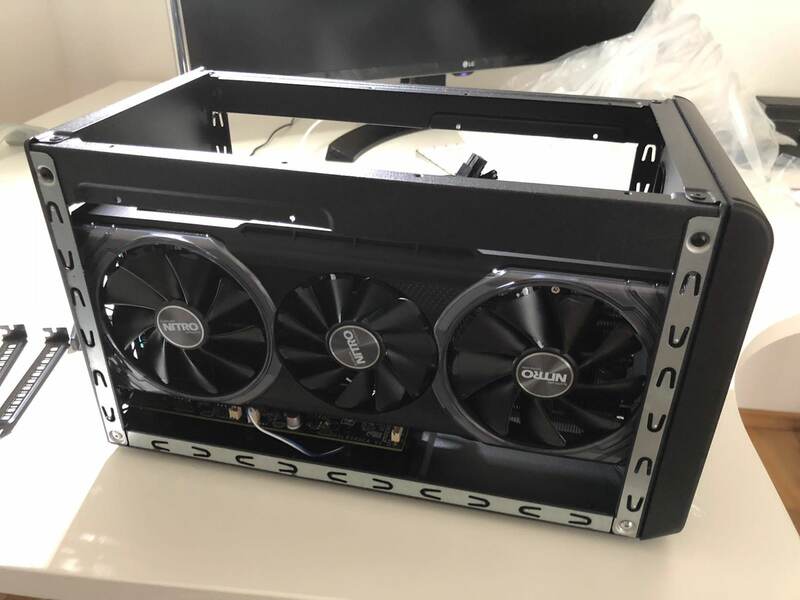 I've bought a apple recommended eGPU ( https://support.apple.com/en-us/HT208544) with a supported enclosure. 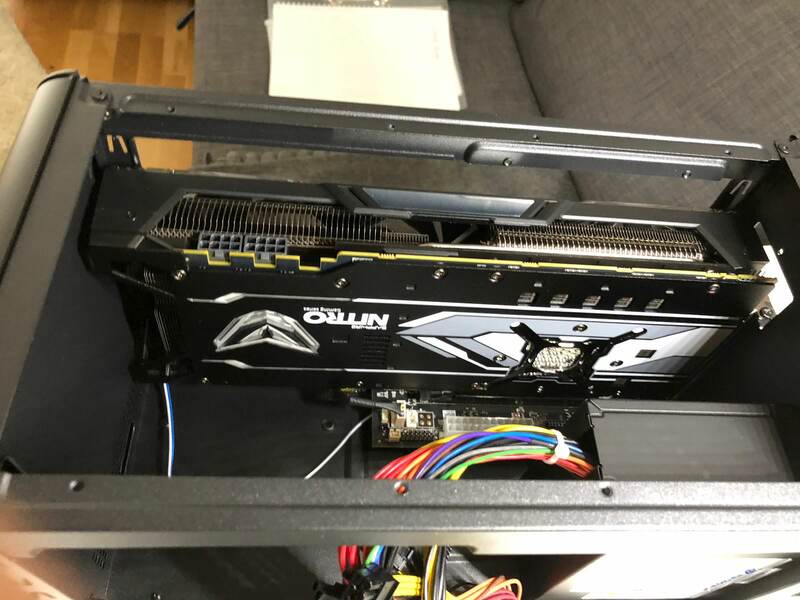 Important point, if you're using this kind of graphic card: On first look, the card does not fit into the enclosure! You have to remove 4 screws from enclosure fan first, then you can slowly but steady mount the card. Look at the images above, it's less than a centimeter between enclosure and card. After mounting the card, the eGPU works out of the box as a plug-and-play device for my macbook. I am not the gamer, I've bought the card for video editing and other work. 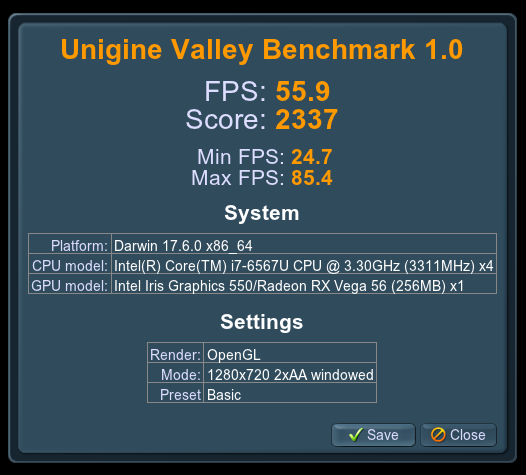 There is a overall good performance with the additional graphic power. Adobe Photoshop CC, Illustrator CC and InDesign CC recognize the graphic unit as dedicated and work with if the GPU is needed. Adobe AfterEffects has also a good performance, but Premerie Pro ignores the card and this makes video editing with Premerie not possible, unfortunately. Final Cut Pro X recognise the card and outsource many tasks, except rendering. My thought was, that maybe rendering is more powerful for the CPU, so it is a GPU-task at all. However, Playback is working fine and it makes fun to work. Cool side effect: I am also a web developer and I am using phpStorm from JetBrains as IDE. With the new setup, this got a big performance update! 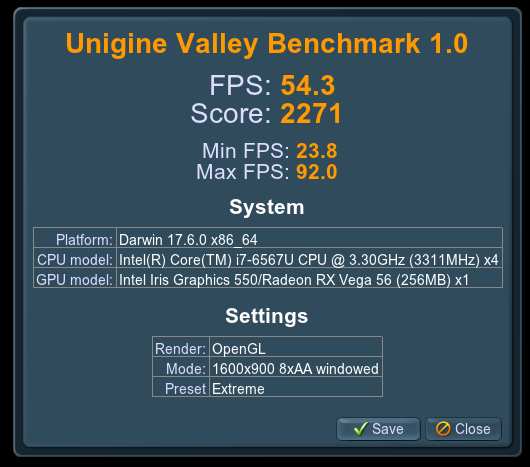 The CPU can concentrate on Code Indexing etc. and the eGPU handles the desktop. It looks like, that the reserved graphic resources on the CPU are gone with the external eGPU. 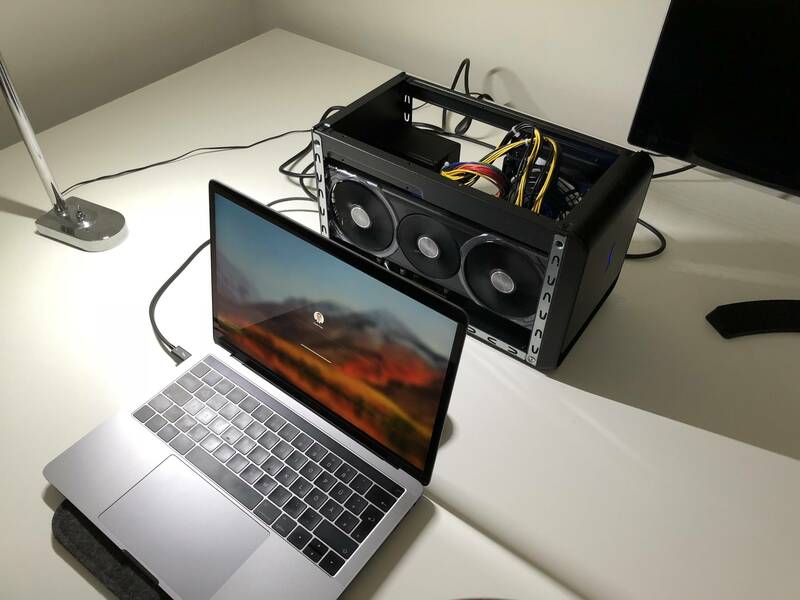 Result: Huge invest for the eGPU, but the technique is actual a early bird. It's not that much performance I have considered, but I guess it is a software support topic. And this topic will be solved in future software and OS updates. I nearly returned my Nitro+ Vega 56 but I saw you did it ! I am very happy, my render time for Canon Raw Lite in FCPX is x 10 on my old - late 2103 mbp ! May I ask you 2 questions please ? 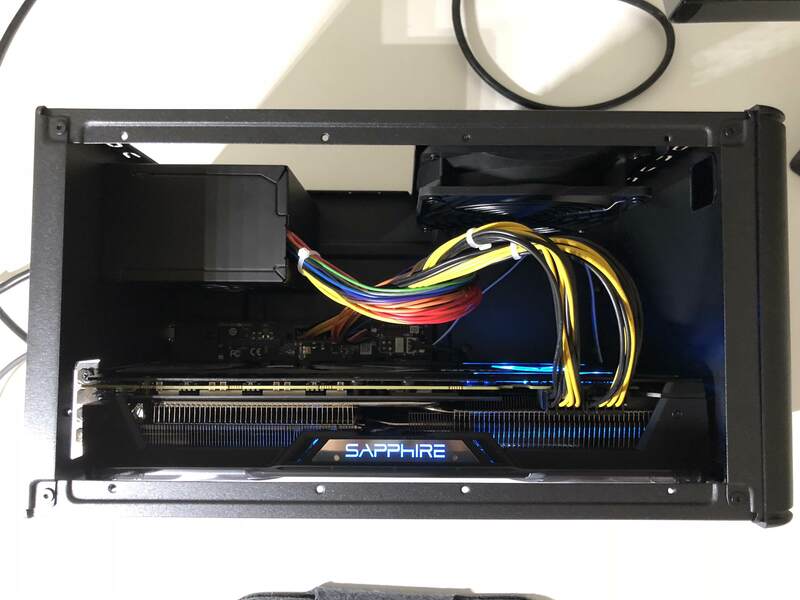 - How should I connect the graphic card to the Egfx Breakaway box’s power supply ? - Did you manage to set an external display on ? I know I should be having TB3 but some people apparently succeded in having external display on my configuration ? Is there somewhere a setting to take care go ? something to activate ? Or de-activiate ? Should I close my MacBook Pro to activate external display ? External Display: My macbook is closed when Graphics is connected, works really fine with HDMI. There is no setting, but you have to open your macbook for startup. This is so great to be able to help each-other through this forum !! Could you please tell me exactly which cable from the CGU did you use... ? or check this particular page of the "Sapphire Graphics card quick installation"
--> Do you mean that you have to open the mbp while booting and then once you are logged in your session, "MUST" - you close the mbp screen in order to activate external display ?